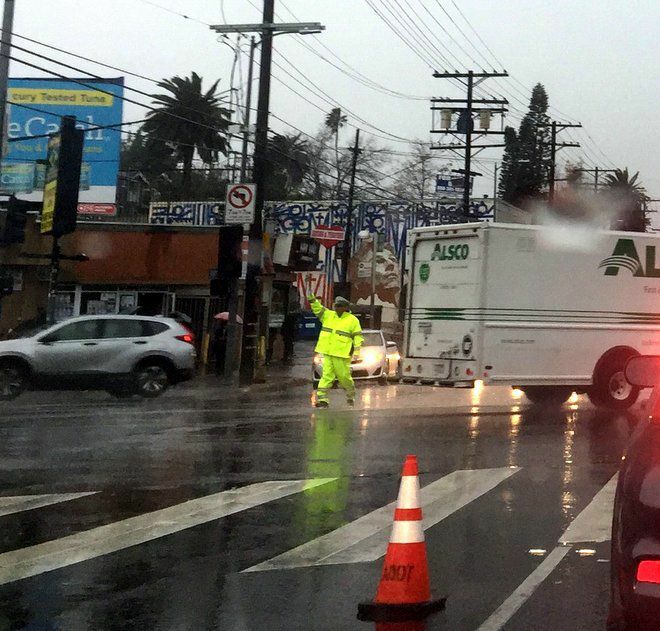 More than 2,600 homes and businesses in Echo Park and Highland Park lost power today as heavy rains fall across the area, says the L.A. Department of Water and Power. The LADWP reports that 1,360 of its Highland Park customers were without power this afternoon. Service is not expected to be fully restored until 3:30 pm, according to the utility’s outage page. Meanwhile, another 1,376 homes and businesses have lost electrical service in Echo Park. Service is not expected to be fully restored until 5 pm. Eastsider readers report that traffic signals are also out on Alvarado Street through Echo Park.